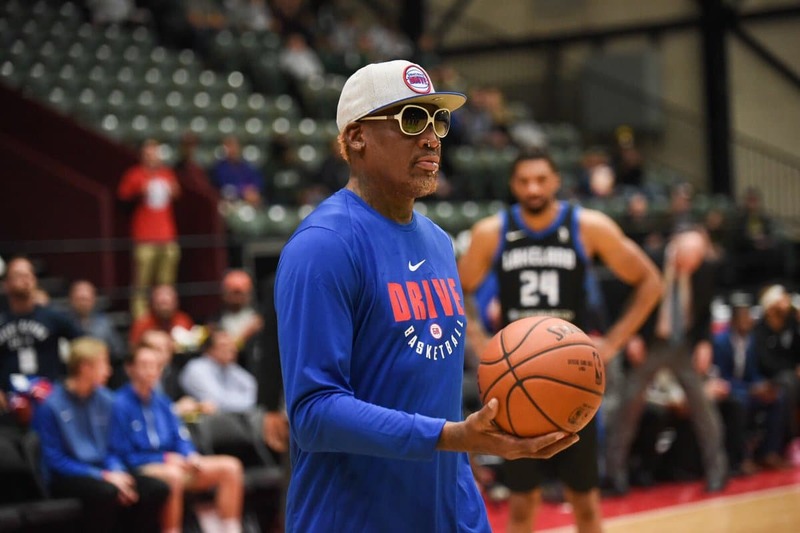 The Grand Rapids Drive, the official NBA G League affiliate of the Detroit Pistons, welcomed Dennis Rodman to Grand Rapids on Thursday, November 30 when the Drive took on the Lakeland Magic at the DeltaPlex Arena. Rodman delivered the game ball before tip off and will participated in an autograph session for season ticket holders in their VIP lounge. 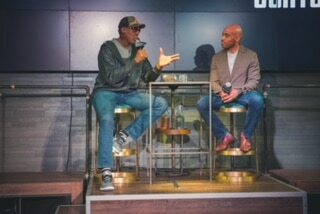 While talking to the media, Rodman reminisced about his days as a member of the Detroit “Bad Boys.” When thinking about the greatest defenders ever to play in the NBA, former Detroit Pistons icon Rodman certainly comes to mind. During his time with the Pistons, from 1986 through 1993, Rodman developed not only into a great defender but also into an elite rebounder in the league. In fact, during his final two seasons in Detroit, he averaged over 18 rebounds per game (18.7 during the 91-92 season and 18.3 during the 92-93 campaign). In addition to talking about the “Bad Boys,” Rodman also commented on how he thinks he would do in today’s NBA.“I think I’d average about 20 rebounds, easy,” he said. “The way they play today, they shoot the ball so fast and they shoot so quickly … and even when I played I was getting rebounds against guys bigger than me, like 270, 280, and I’m like 6-6, 215, 220 and getting rebounds.